Greetings from the mountain resort of Jesenik. Roller skis produce more than twenty years. Design and production quality roller skis devote constant care and we are pleased that the number of satisfied customers is still expanding. 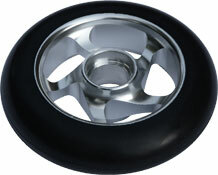 We use the highest quality aluminum alloy 7075, the wheels are made by hand, piece by piece. Our customers include most ski clubs in the Czech Republic, for example. Dukla Liberec, Jablonec and SKP SKL New Town in Moravia. The roller skis Drlík you can find in many European countries but also in the USA and Canada. Our interest in you selling goods end. You can always call or send an e-mail, help to solve your problems. Advice on selection, sales of spare parts supply, provide service and modifications of roller skis and other manufacturers. The problem is neither unusual products. Purchased roller skis, you can always exchange it for another, or return, new and used. 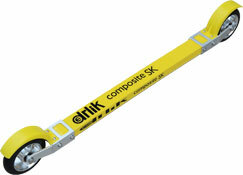 We are confident that you will be with roller skis Drlík fully satisfied.